Deep learning has arisen around 2006 as a renewal of neural networks research allowing such models to have more layers. Theoretical investigations have shown that functions obtained as deep compositions of simpler functions (which includes both deep and recurrent nets) can express highly varying functions (with many ups and downs and different input regions that can be distinguished) much more efficiently (with fewer parameters) than otherwise. Empirical work in a variety of applications has demonstrated that, when well trained, such deep architectures can be highly successful, remarkably breaking through previous state-of-the-art in many areas, including speech recognition, object recognition, language models, and transfer learning. This talk will summarize the advances that have made these breakthroughs possible, and end with questions about some major challenges still ahead of researchers in order to continue our climb towards AI-level competence. Deep learning is bringing neural networks out of their traditional realm of pattern recognition and into higher level cognitive functions, including reasoning, attention, understanding and generating natural language, planning and reinforcement learning, with the ultimate goal to build model that understand the world by discovering the underlying explanatory factors. 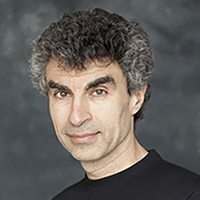 Yoshua Bengio received a PhD in Computer Science from McGill University, Canada in 1991. After two post-doctoral years, one at M.I.T. with Michael Jordan and one at AT&T Bell Laboratories with Yann LeCun and Vladimir Vapnik, he became professor at the Department of Computer Science and Operations Research at Université de Montréal. He is the author of two books and more than 200 publications, the most cited being in the areas of deep learning, recurrent neural networks, probabilistic learning algorithms, natural language processing and manifold learning. He is among the most cited Canadian computer scientists and is or has been associate editor of the top journals in machine learning and neural networks. Since ‘2000 he holds a Canada Research Chair in Statistical Learning Algorithms, since ‘2006 an NSERC Industrial Chair, since ‘2005 his is a Senior Fellow of the Canadian Institute for Advanced Research and since 2014 he co-directs its program focused on deep learning. He is on the board of the NIPS foundation and has been program chair and general chair for NIPS. He has co-organized the Learning Workshop for 14 years and co-created the new International Conference on Learning Representations. His current interests are centered around a quest for AI through machine learning, and include fundamental questions on deep learning and representation learning, the geometry of generalization in high-dimensional spaces, manifold learning, biologically inspired learning algorithms, and challenging applications of statistical machine learning. Keynote title: "Big Data - Security and Privacy"
Technological advances and novel applications, such as sensors, cyber-physical systems, smart mobile devices, cloud systems, data analytics, and social networks, are making possible to capture, and to quickly process and analyze huge amounts of data from which to extract information critical for security-related tasks. In the area of cyber security, such tasks include user authentication, access control, anomaly detection, user monitoring, and protection from insider threat. By analyzing and integrating data collected on the Internet and Web one can identify connections and relationships among individuals that may in turn help with homeland protection. By collecting and mining data concerning user travels and disease outbreaks one can predict disease spreading across geographical areas. And those are just a few examples; there are certainly many other domains where data technologies can play a major role in enhancing security. The use of data for security tasks raises however major privacy concerns. Collected data, even if anonymized by removing identifiers such as names or social security numbers, when linked with other data may lead to re-identify the individuals to which specific data items are related to. Also, as organizations, such as governmental agencies, often need to collaborate on security tasks, data sets are exchanged across different organizations, resulting in these data sets being available to many different parties. Apart from the use of data for analytics, security tasks such as authentication and access control may require detailed information about users. An example is multi-factor authentication that may require, in addition to a password or a certificate, user biometrics. Recently proposed continuous authentication techniques extend access control system. This information if misused or stolen can lead to privacy breaches. It would then seem that in order to achieve security we must give up privacy. However this may not be necessarily the case. Recent advances in cryptography are making possible to work on encrypted data – for example for performing analytics on encrypted data. However much more needs to be done as the data privacy techniques to use heavily depend on the specific use of data and the security tasks at hand. Also current techniques are not still able to meet the efficiency requirement for use with big data sets. In this talk we will discuss methods and techniques to make this reconciliation possible and identify research directions. 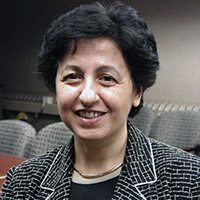 Elisa Bertino is professor of computer science at Purdue University, and serves as Research Director of the Center for Information and Research in Information Assurance and Security (CERIAS). She is also an adjunct professor of Computer Science & Info tech at RMIT in Melbourne. Prior to joining Purdue in 2004, she was a professor and department head at the Department of Computer Science and Communication of the University of Milan. She has been a visiting researcher at the IBM Research Laboratory (now Almaden) in San Jose, at the Microelectronics and Computer Technology Corporation, at Rutgers University, at Telcordia Technologies. Her recent research focuses on database security, digital identity management, policy systems, and security for web services. She is a Fellow of ACM and of IEEE. She received the IEEE Computer Society 2002 Technical Achievement Award and the IEEE Computer Society 2005 Kanai Award. She is currently serving as EiC of IEEE Transactions on Dependable and Secure Computing. Keynote title: "Big Data or Big Garbage? A Tale of a Research Journey for Real-Time Business Intelligence"
Rakesh Agrawal is the President and Founder of the Data Insights Laboratories. 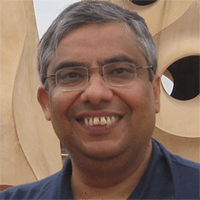 He is a member of National Academy of Engineering, a Fellow of ACM, and a Fellow of IEEE. He has been both an IBM Fellow and a Microsoft Fellow. ACM SIGKDD awarded him its inaugural Innovations Award and ACM SIGMOD the Edgar F. Codd Award. He was named to the Scientific American’s First list of top 50 Scientists. Rakesh has been granted 80+ patents and published 200+ papers, including the 1st and 2nd highest cited in databases and data mining. Four of his papers have received “test-of-time” awards. His research formed the nucleus of IBM Intelligent Miner that led the creation of data mining as a new software category. Besides Intelligent Miner, several other commercial products incorporate his work, including IBM DB2 and WebSphere and Microsoft Bing.